When you are ready for the cleanest, closest shave possible from a mobile device, you need to download Electric Shaver today! Picture it. You are out on a date with ( insert lucky lady name here ) and you suddenly noticed that you missed a spot on your shave. You have to take care of it before she notices and suddenly gets a headache and ends the evening. Never fear. With electric shaver on your phone, you can get that razor sharp shave that will impress the ladies and make sure you are not going to bed lonely tonight! Electric Shaver is an advanced simulation shaver app. It is more of a prank if anything, obviously. It vibrates your device while playing a shaver sound effect. And it has a pretty picture of an electric razor on it. Hold down on the shaver to run it. Because of the vibration, it can even be used as a vibrating massager, if that is your thing. Sound plus vibration is what this is all about. Enjoy! 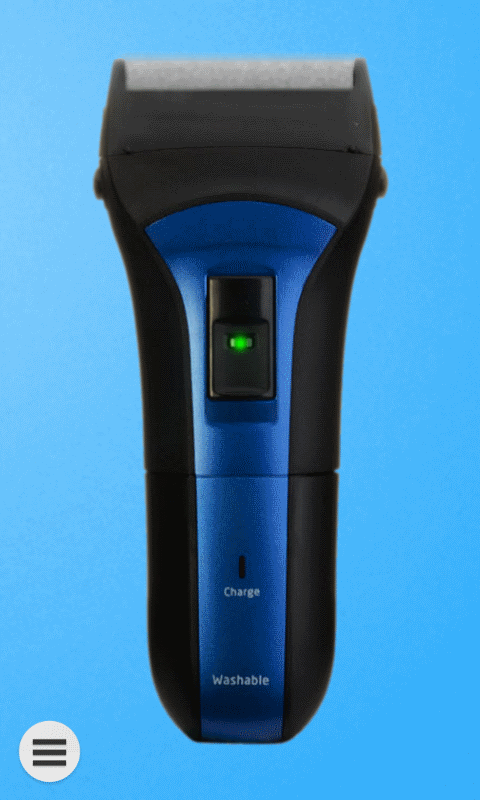 Electric Shaver is completely free, but it is supported by in-app advertising. 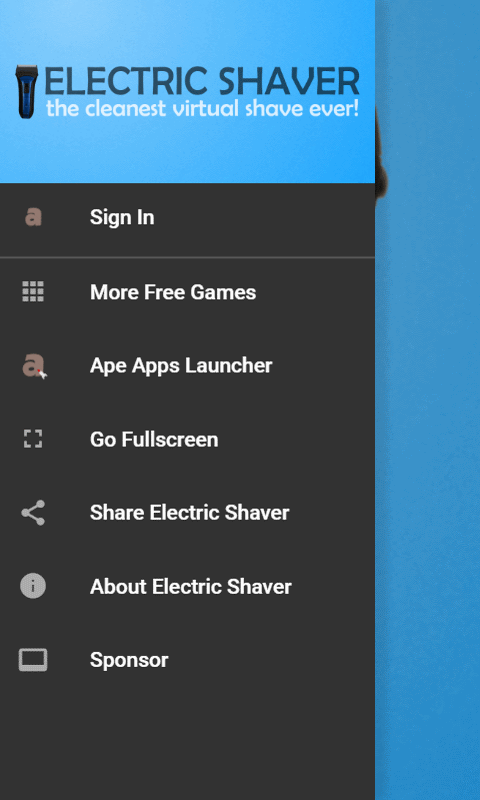 Premium upgrade options are available on all major platforms, but if you purchase a license key directly from Ape Apps, you will recieve a license key file which unlocks the upgraded version of Electric Shaver on all platforms! Click Here for more info.